As the natural border between Zambia and Zimbabwe, Victoria Falls pulls millions of visitors from around the world and is the most visited site in Southern Africa. No doubt the falls are impressive. The largest waterfall on the planet and the seventh wonder of the world, Victoria Falls (Mosi-oa-Tunya,” the smoke that thunders) is hidden behind a veil of mist after the rainy season when the Zambezi River is full. For better or for worse, we arrived to the town of Livingstone, Zambia during the dry season, at a time when the falls are at their lowest. 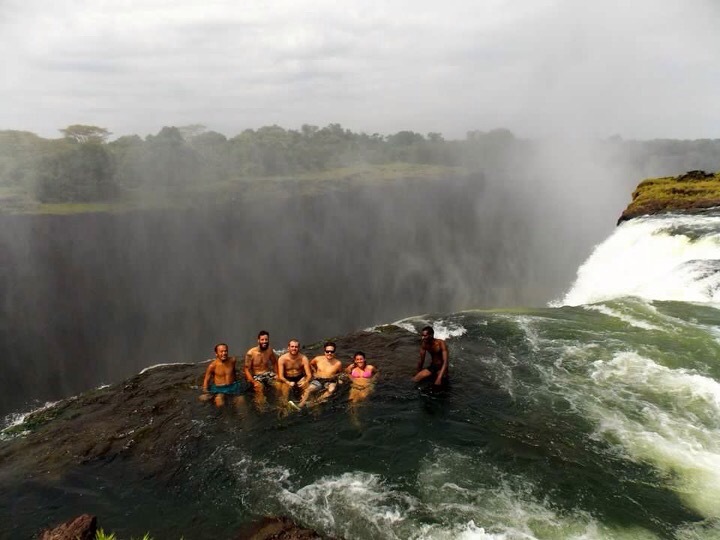 However this period is also the only window during the year that people are allowed to swim in the outrageously scary Devil’s Pool, a pool that is directly at the edge of the falls.